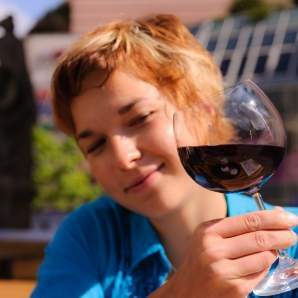 Welcome to your source for Wine Information and Tasting Notes! Welcome to the LaWineClub.com web site! This system is being built from the ground up to provide the online community with a comprehensive, searchable, flexible database of wine tasting notes, and will also serve as a local portal for wine enthusiasts. We want to embrace and work with all the other popular wine sites online and serve as a "central database" of tasting notes. Also be sure to visit our new Messageboards. While this is a local wine portal, we happily encourage users from all around the world to register for free and add your Tasting Notes to the database! Be sure to sign up and get on the weekly mailing list to be notified of news, wine tastings and other special events going on. 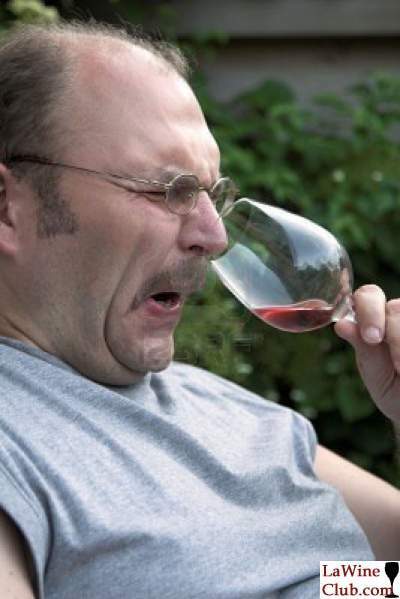 Why Does Wine Sometimes Make People Feel Bad? Drinking too much alcohol can give anyone a terrible hangover. But some people get sick after just a single glass of red wine, with symptoms ranging from an itchy rash and a wheezing cough to a pounding migraine headache. What makes wine so different? 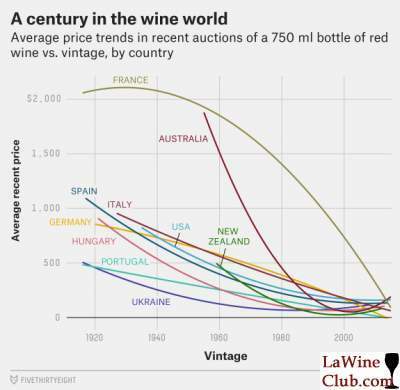 When it comes to wine, for some, the price tells them that a wine is good. But after crunching the numbers and analyizing trends, is this really the case? 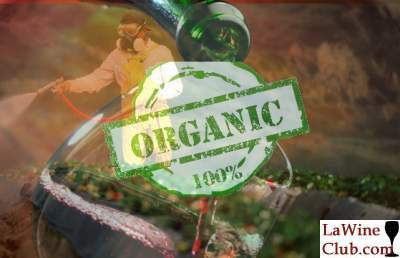 An investigative journalist looks into the weird world of wine..
A study released today revealed that after testing, ten major California wines contained the chemical Glyphosate, the "active" ingredient in the popular weed killer "Roundup" by Monsanto as well as other herbicides. This does not bode well as some of the wines were actually labeled "organic." A glass of red wine every night may help people with type 2 diabetes manage their cholesterol and cardiac health, according to new findings from a two-year randomized controlled trial (RCT) led by researchers at BGU. Additionally, both red and white wine can improve sugar control, depending on alcohol metabolismgenetic profiling. 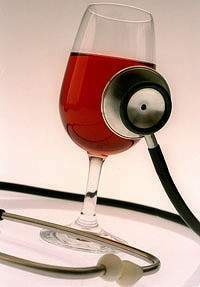 In this first long-term alcohol study "Effects of Initiating Moderate Alcohol Intake on Cardiometabolic Risk in Adults With Type 2 Diabetes", just published in the prestigious Annals of Internal Medicine, the researchers aimed to assess the effects and safety of initiating moderate alcohol consumption in diabetics, and sought to determine whether the type of wine matters. People with diabetes are more susceptible to developing cardiovascular diseases than the general population and have lower levels of “good” cholesterol. 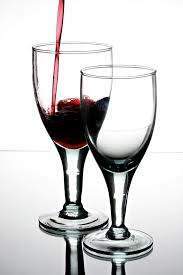 Despite the enormous contribution of observational studies, clinical recommendations for moderate alcohol consumption remain controversial, particularly for people with diabetes, due to lack of long-term, randomized controlled trials, which are the "holy grail" of evidence-based medicine. Global warming has its markers, such as melting ice caps and rising sea levels. Its impact on the worlds vineyards is another, lesser known issue. And so its fitting that the COP21 conference on climate change is currently being held in Paris, and that Tuesday’s topic of discussion was agriculture. "The vine is indeed a perennial plant that allows scientists to make comparisons from one year to another," says Herve Quenol, a researcher at the French National Centre for Scientific Research and a scientist with the International Organization of Vine and Wine. "Also, this plant has well-defined stages of growth that are directly related to temperature, whether its budding, flowering, the formation of clusters or, of course, the harvest. The consequences on these stages have been widely visible for several years." 83 bottles of wine cited in a lawsuit this week as having dangerously high levels of arsenic came from 28 California wineries and were bottled under 31 different brand labels. Some of the labels included several different types of wine, such as merlot, chardonnay, burgundy, rose, etc. 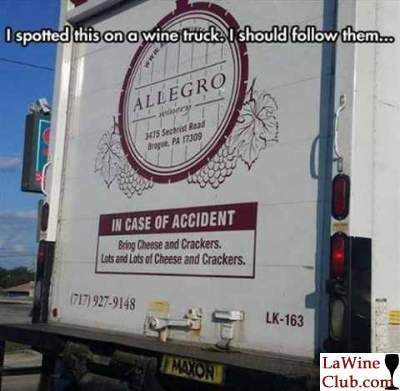 Nobody likes messing up their food and wine pairings. It can ruin your food, your friendships, and worse yet, your wine. With Halloween just around the corner, we know you're stressing about pairing wine with candy. No worries, we've got you covered. With this easy-to-use infographic, you can find out which wines work with which candies, so you know just the wines and candies to indulge in this October. Whoever said no news is good news was wrong. Turns out drinking red wine is better for you than going to the gym! How?s that for good news? Jason Dyck and other science researchers in the University of Alberta in Canada found that red wine, nuts and grapes have a complex called resveratrol which improves heart, muscle and bone functions; the same way they?re improved when one goes to the gym. Resveratrol proved to be an effective antioxidant when tested on rodents which is why scientists are planning on testing it with diabetics. If results are positive for the benefits of the complex, patient?s heart health could be improved just as much as it does when they work out vigorously. "Let The Buyer Beware!" You have heard the old adage time and time again, and sometimes a good deal really is too good to be true. Two emails caught my attention this week, so I thought I would share some wine knowledge with you. A group of archaeologists digging in northern Israel announced that they have found the remains of what may be the oldest and largest wine cellar found to date, containing the remains of approximately 3,000 clay jars. Chemical analysis of the shards confirm that the wine once held in them contained some of the usual elements added to wine in the day. More tasting events are scheduled at Martin's Wine Cellar - see the full schedule. The study in the Journal of Clinical Oncology was led by Polly Newcomb, head of the Cancer Prevention Program at Fred Hutchinson Cancer Research Centre, Seattle. Dr Newcomb said: 'Our findings should be reassuring to women who have breast cancer because their past experience consuming alcohol will not impact their survival after diagnosis. The study was based on data from almost 23,000 women who participated in the Collaborative Breast Cancer Study, sponsored by the National Cancer Institute. About 5,000 participants were sent a follow-up questionnaire between 1998 and 2001 about their alcohol consumption habits after diagnosis. Vino connoisseurs, take note: Your next fine wine might come from Yellowstone or Canada. 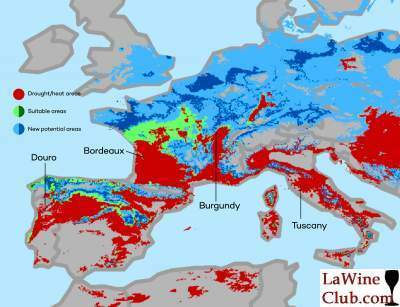 Climate change is quickly making it harder for some of the most famous wine-making regions in the Mediterranean to produce grapes, according to a new study published Monday. 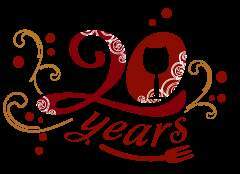 What began as a small, intimate, one-day gathering of wineries and chefs 20 years ago has grown into a grand celebration of wine and food attracting more than 10,000 people each year over a 5-day weekend, and giving back to the community through support of various organizations. The 20th Anniversary of the New Orleans Food & Wine Experience, which takes place May 22-26, 2012, includes Wine Dinners hosted by more than 30 New Orleans area restaurants; Vinola, NOWFE's premium tasting event; the Royal Street Stroll sponsored by Rouses, NOWFE's signature event, a definitive evening event set in the heart of the French Quarter; and exciting Culinary Seminars which will fill the days and nights with all things wine and food. The weekend culminates with Grand Tastings on Friday and Saturday in true grand fashion with more than 175 wineries showcasing over 1000 wines and 75 chefs serving culinary delights from our region. Resveratrol, a chemical found in red wine and dark chocolate, may work differently in the body than first thought, a new study suggests. 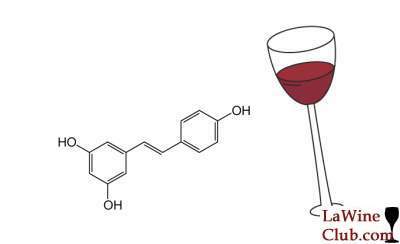 "Resveratrol has potential as a therapy for diverse diseases such as Type 2 diabetes, Alzheimer's disease, and heart disease," said lead study author Dr. Jay Chung, chief of the National Heart, Lung and Blood Institute's laboratory of obesity and aging research in Bethseda, Md. People would need to drink about 667 bottles of red wine to get a meaningful treatment dose of resveratrol, a researcher says.People would need to drink about 667 bottles of red wine to get a meaningful treatment dose of resveratrol, a researcher says. "However, before researchers can transform resveratrol into a safe and effective medicine, they need to know exactly what it targets in cells," he added in a release. 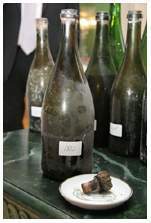 Divers exploring a shipwreck found recently in the Baltic Sea between Sweden and Finland had even more reason to celebrate when they found that the ship contained up to 30 bottles of what is now the world's oldest drinkable Champagne. 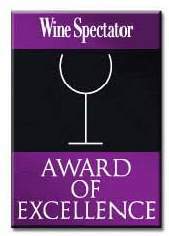 Last week, Wine Spectator magazine, that expert voice on wine and fine dining everywhere, presented an award of excellence to Osteria L'Intrepido of Milan, Italy. And this is news why? Only because the restaurant doesn't exist. It's just a website with a menu and a wine list. And apparently, that may be all it takes to get on WS's list of excellence. 20 Articles displayed. Show More Articles.